The United States Consumer Products Safety Commission estimates that the likelihood of having an electrical related fire is 55 times higher with a house wired with aluminum wiring, than one wired with copper wire. As a 24 hr licensed electrician, we salvaged these three outlets from different customer homes. Each outlet is a result of aluminum wire failing at the connection screws.Note that even the 'white' neutral has charing on the upper right outlet. 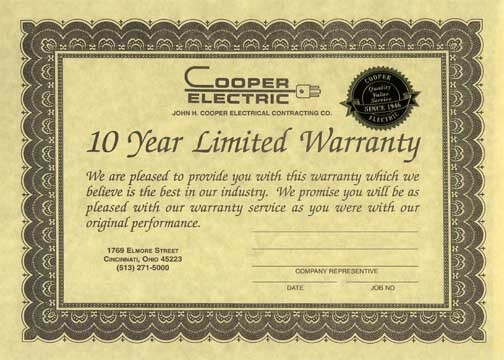 Cooper Electric has the tools, training, and experience to perform Factory Certified Aluminum Wiring Corrections. While providing a 10 Year Warranty which is the BEST in town. Between 1965 and 1972, approximately 2 million homes were constructed with aluminum wiring. The wiring that is of major concern is the single strand solid aluminum wiring, connected to the smaller branch circuits supplying receptacles, switches, lights, and appliances such as dishwashers, furnaces, etc. Corrosion of the metals in the connection, particularly the aluminum wire itself, causes increased resistance to the flow of electric current and that resistance causes overheating. Most modern homes have some aluminum wiring, including the main service wires, and the heavier 240 volt circuits that feed other major appliances, such as ranges and air conditioners. The higher voltage wiring does not present the same risk as 15, 20 and 30 amp circuit wiring. Cover plates on outlets or switches that are warm-to-the-touch. Circuits that do not work, or work intermittently. The smell of burning plastic at outlets, switches, or lighting. Smoking outlets, switches, or lighting. Tripping circuit breakers, for no apparent reason. Unfortunately, not all failing aluminum wired connections provide such easily detected warning signs, as they can fail without any prior indications or problems. What Should You, the Homeowner Do? If you have noticed any of the trouble signs, have a qualified electrician determine whether the problem is caused by deteriorating aluminum connections. DO NOT TRY TO DO IT YOURSELF. You could be electrocuted or you could make the connections worse by disturbing them. If you are not certain whether your home has aluminum wiring, you may be able to tell by looking at the markings on the surface of the electric cables which are visible in unfinished basements, attics, or garages. Aluminum wiring will have AL or Aluminum marked every few feet along the length of the cable. Must repair every connection to, or splice between, aluminum wire in the home. 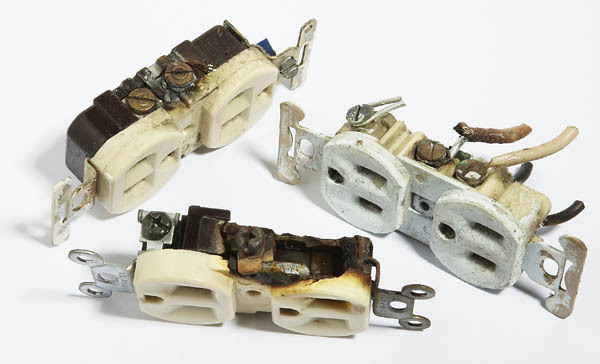 The repaired connections must be permanent, but must result in a system that can be maintained without the need for special switches, outlets, or connectors. The only repair method that meets these criteria is the Amp Copalum system. This repair consists of attaching a piece of copper wire to the existing aluminum wire with a specially designed metal sleeve, which is crimped to 10,000 psi using a powered crimping tool. The sleeve and tool are matched and are only available through Amp Copalum? certified electricians, who are thoroughly trained by the manufacturer in the proper use of this tool. This system makes a permanent connection, which is in effect a cold weld. 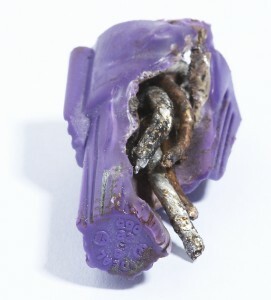 Electricians who do not have access to the CopAlum System try to use these purple wire nuts. This specific one was taken from a home we had to repair because of an unqualified electrician scammed home owners into using these. These methods are offered cheaply because they use purple wire nuts, and it is not at all effective. 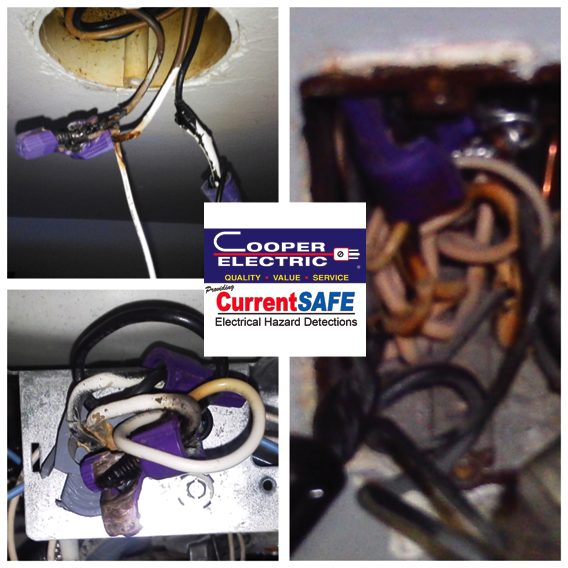 These repairs are considered unacceptable by the Consumer Safety Products Commission for solving the problem of overheating aluminum wiring circuits. Repairing aluminum wiring should be a top priority for the branch circuitry in your home. To provide you the most accurate and comprehensive information on aluminum wire we have provided links below here on our web page to the most authoritative sources available. Repair-Aluminum-Wiring You can download and print with ease! If you have aluminum wiring in your home call for more information about an inspection by one of our factory trained and certified electricians.